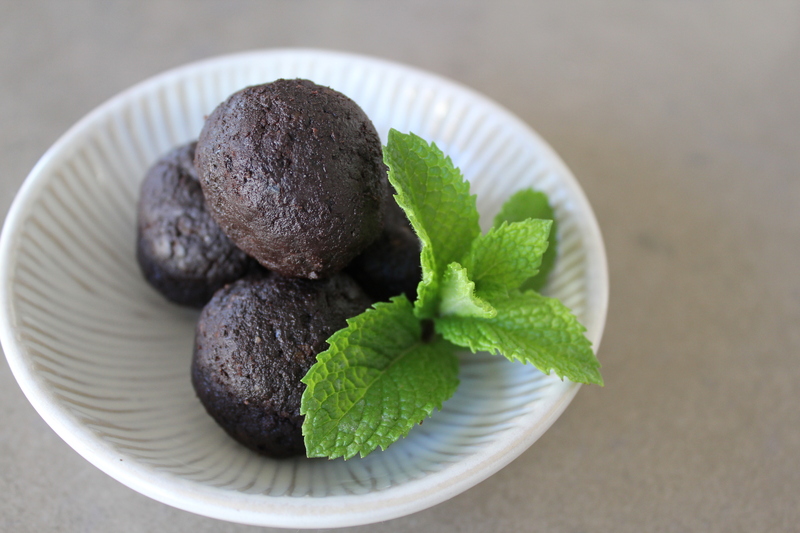 Raw cocoa balls, clean eating at its best | Hey Bernice! I can’t help myself. I always seem to make food when I have a massive to-do list (when everything on that list doesn’t involve entering the kitchen!). Clearly it’s a procrastination technique. 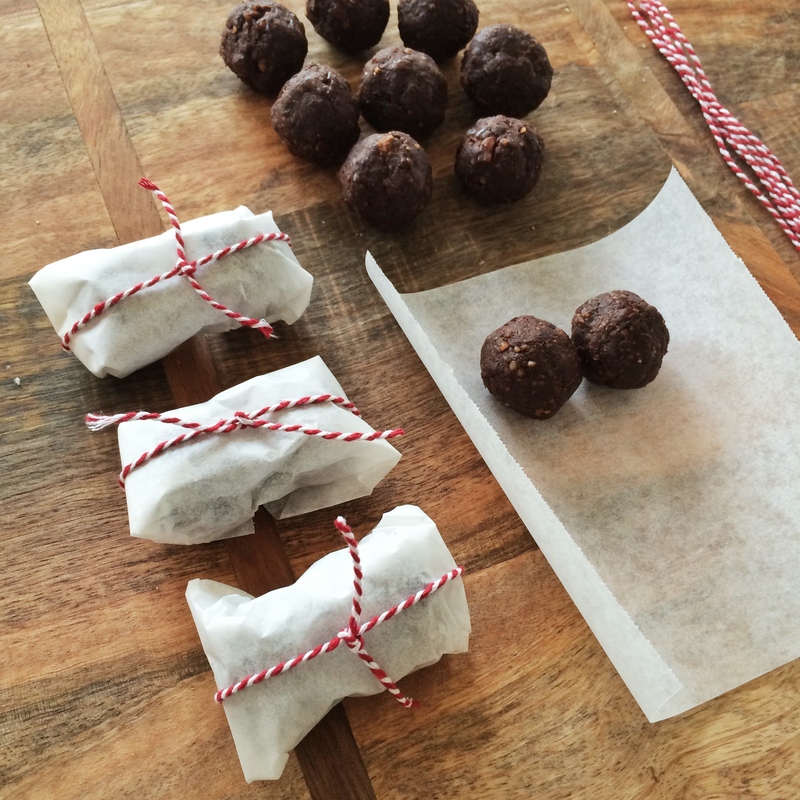 My favourite raw cocoa balls were part of my procrastination frenzy today. My to-do list is massive because both my girls were struck down with a flu-like virus this week. They were hit with temps around 40C for 7 days… and many nights without sleep for me (monitoring them all night!). 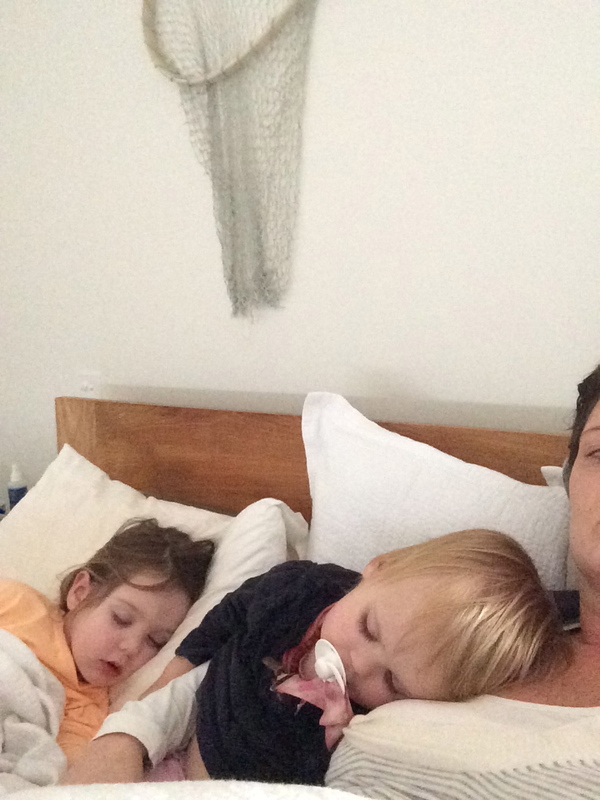 My youngest wouldn’t sleep anywhere but on my chest for days – which rules out doing any paid work, let alone housework! So, on the top of my list should’ve been catching up on lost Z’s, but that never happened. 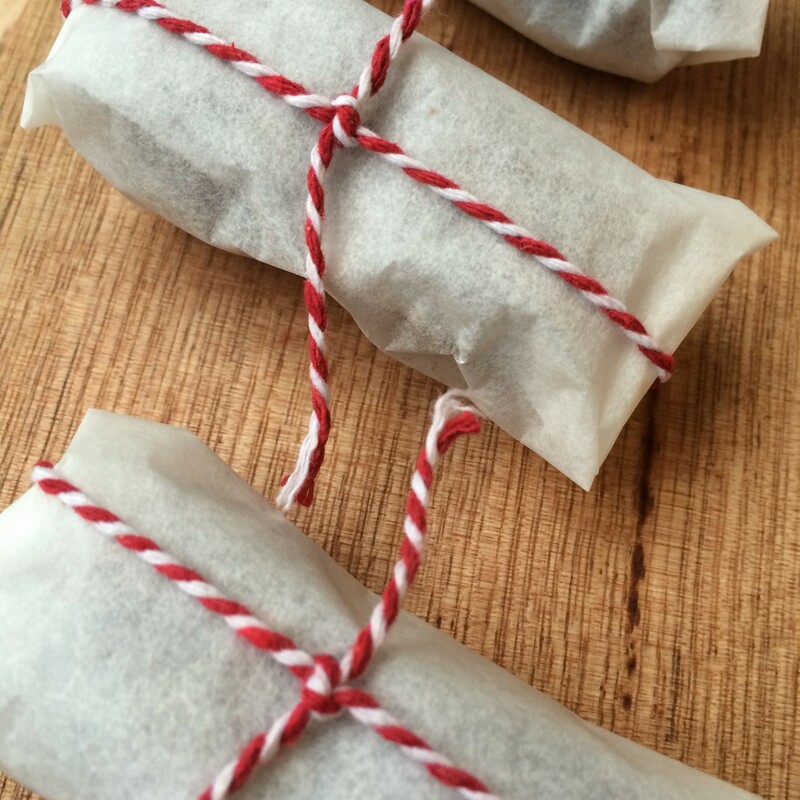 Probably the simplest of snacks you could make that send those sugar cravings packing, whilst being a really healthy snack. Place all the ingredients in a food processor or Thermomix and chop until really fine. Add a splash of water to make the mixture a little sticky, which will make it easier to roll the mixture into balls. To keep the size of the balls consistent I spoon the mixture into an ice-tray. Press the mixture down with the back of a teaspoon. Then use a fork to extract each ball from the ice-tray, and roll it into a ball in your hand. The balls above have been rolled in cocoa powder which makes them look a little darker. They are best kept in the fridge, and will last 7-10 days (if you allow them to, wink wink). The reason I was making these today was for a workshop I’m running this week. I’m providing individual packages for each attendee with two balls in each. It’ll be their survival kit for the afternoon sugar cravings. Let’s hope my attendees like chocolate snacks!